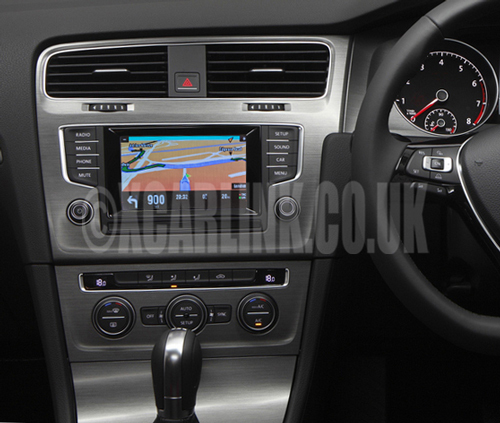 Add GPS, Rear camera and any video source to your Golf Mk7 Non-Navigation screen. 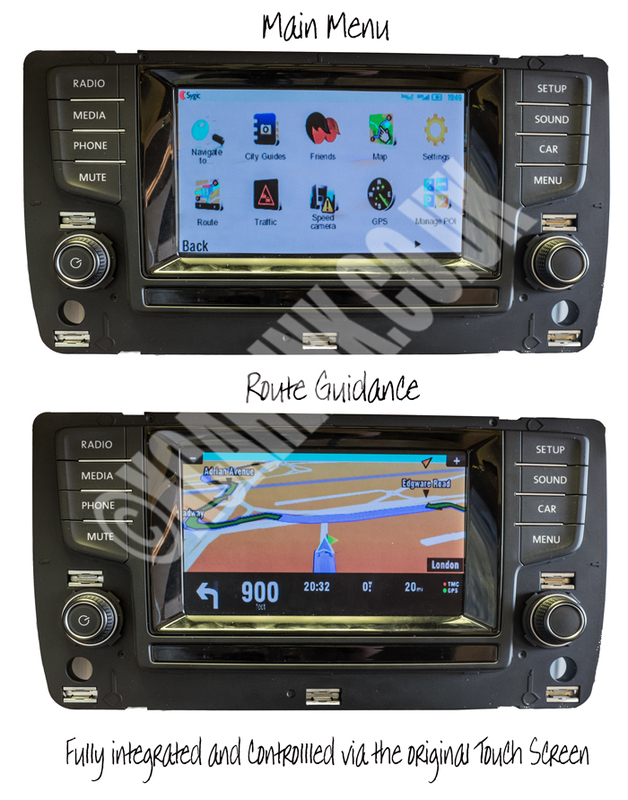 Our multimedia interface is a revolutionary product that allows you to add GPS satellite navigation to the original screen on the new Golf Mark 7 which is not supplied with navigation as standard. Installation is plug and play and it even allows you to use the existing touch screen to control the GPS system. In addition you can add any external video source to your cars factory fitted screen. Once installed, it gives you the ability to add two additional AV inputs for connecting any video source such as smartphone mirroring, DVD player, Digital TV tuner etc. It also has a dedicated rear camera input which will automatically display the camera image on the factory fitted screen when the reverse gear is engaged. The interface does not replace your original system - it offers perfect integration to maintain your OEM appearance. To switch to SatNav simply hold down the 'MENU' button and then control the SatNav system via the original touch screen, just as you would with a factory fitted SatNav system! Fully integrated GPS navigation system for the Golf Mark VII. Plug and Play installation with an OEM harness adapter, no cutting cables etc and full installation instructions provided. 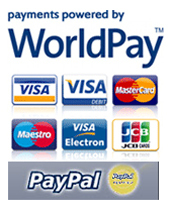 This multimedia interface allows you to select the desired video source by holding down the "Menu" button. Installation involves removing head unit and then connecting the interface via a plug and play harness. Then connect the Fakra video connection to the screen. Simply attach the devices that you want to view on your navigation screen to the AV inputs. Please note that you do not need have a factory installed TV tuner/GPS or have anything enabled by a VW dealer. Nor do you have to have to have any optional extras installed when the car was ordered. If for any reason you are not completely satisfied or have any issues with compatibility you can return it to us for a refund.